My first craft fair was not a smashing success financially, but it was a great experience. It was really inspiring to meet other crafters–who really must be the nicest people on the planet. The show had a little bit of a Brooklyn vibe from the Pixies on the radio to the hipster attire. 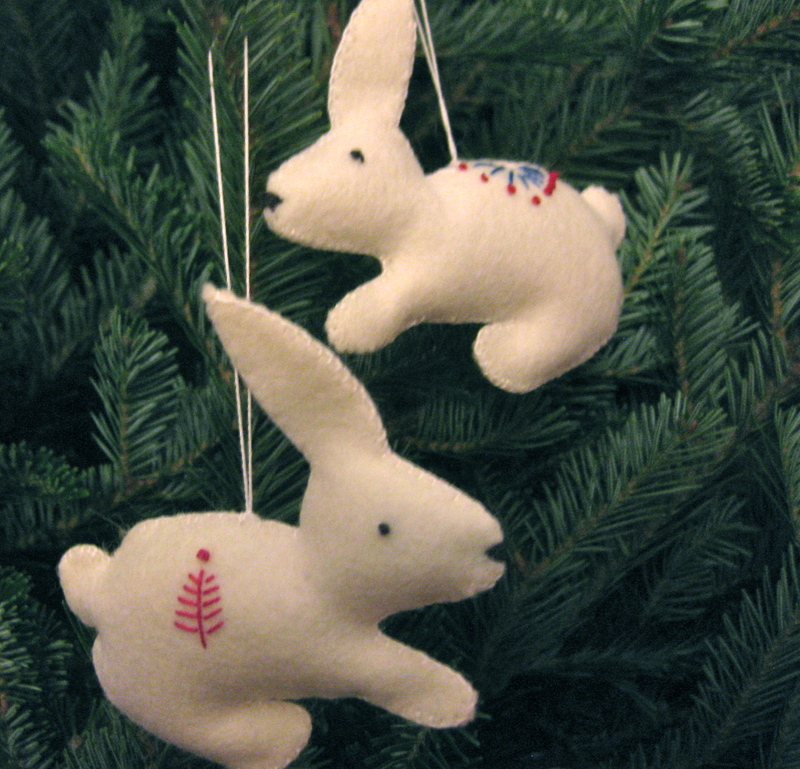 My biggest (OK, more or less only) seller was these super cute bunny ornaments. If I’d made a hundred bunnies, I’d be all set. Of course, they were something I decided to make at the last minute. I had some left over wool felt from a tree skirt I made last year and wool stuffing that I bought ages ago and have used countless times. (I love when a seemingly extravagant purchase turns out to be perfectly practical.) A little embroidery and a blanket stitch around the edge–simple. 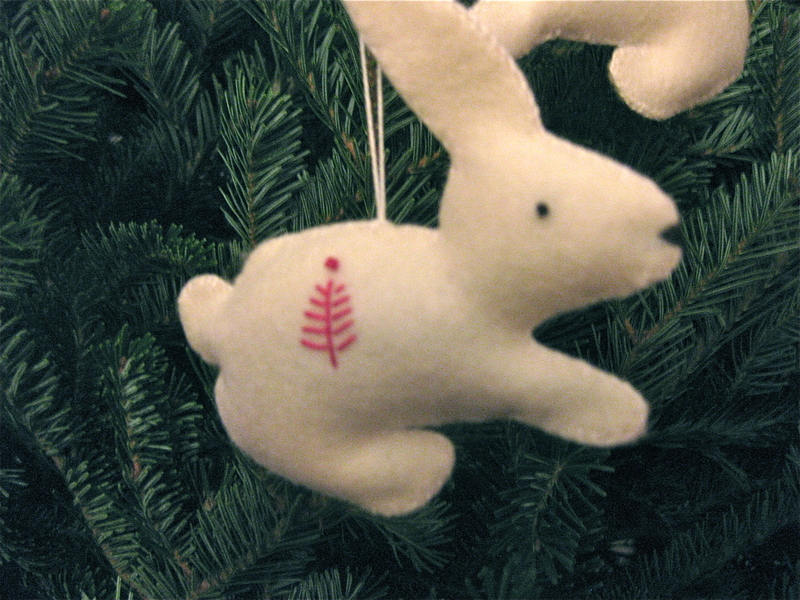 This entry was posted in holidays, small projects and tagged Bunny ornament, Christmas decoration, Christmas ornament, Embroidery, Felt ornament on December 12, 2013 by brigitdermott.